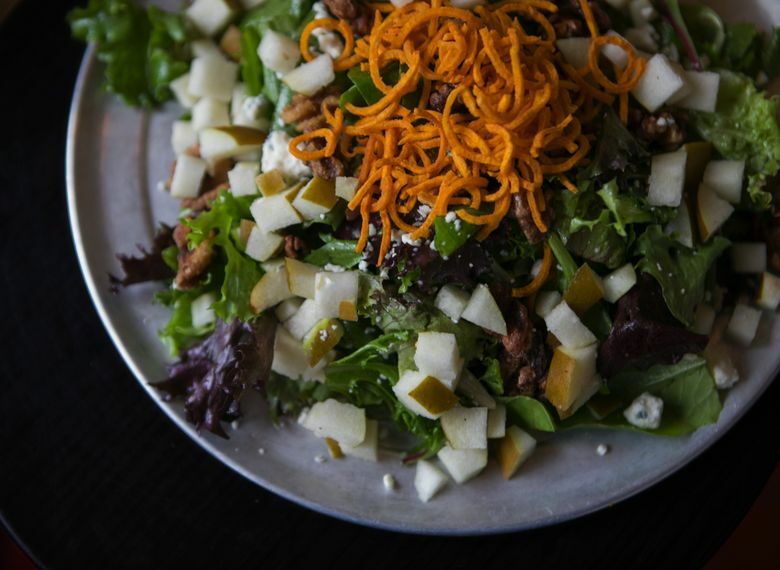 Eat with a better conscience at Conscious Eatery in Georgetown. You’ve heard about the razor-thin profit margins in the restaurant business. 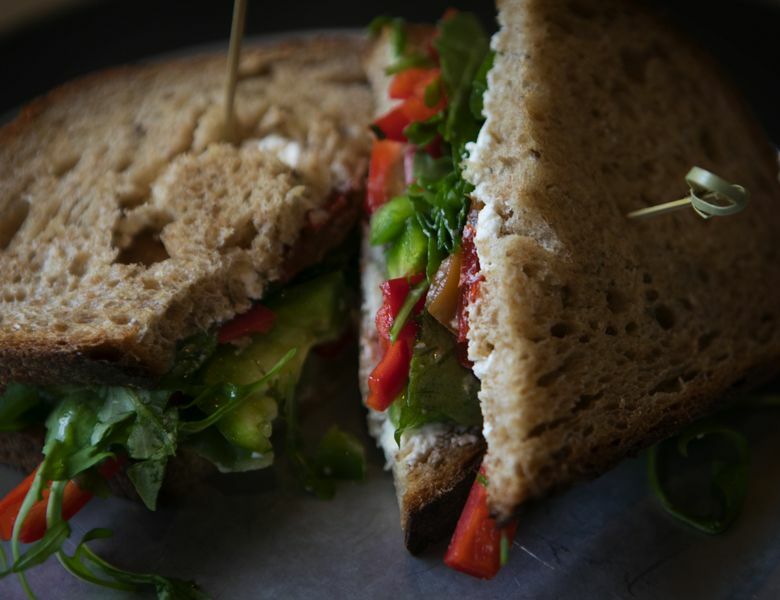 Georgetown’s Conscious Eatery makes big, beautiful sandwiches and salads, and if you “Make it a meal” — add two sides, including extra-tasty coleslaw or potato salad, a drink or a cookie — they give a meal to a homeless person, every time. In just over a year, they’ve given more than 6,000 of them. Conscious Eatery’s quality ingredients include loads of fresh produce from Charlie’s and additions like Mama Lil’s peppers. Their painstaking, labor-intensive prep goes from house-roasted meats, to house-made aiolis and dressings, to cookies baked on-site. The prices are completely reasonable: Sandwiches and salads average $8.50, and making it a meal is just three bucks more. No, they don’t get donations from their local suppliers, nor a special deal on their rent. They just take it from the bottom line, leaving a profit margin of nothing. Seattle’s philanthropic sandwich shop is brought to you out of the goodness of the hearts of Cierra Laub and Chaz Rowlan. She moved here from Tucson, Arizona, and they met about a decade ago, working at McGrath’s Fish House in his hometown of Federal Way. There, he trained her to wait tables; later, when she was managing a restaurant called Cal’s in Kent, she hired him as a bartender. When they reconnected in 2015, he was at “a mentally unfulfilling position” at a South Lake Union restaurant, while she was working in restaurant consulting. Both were volunteering at nonprofits in their spare time. Homelessness had impacted each of their families. Neither of them measured success in the usual trite ways. Their boundless positivity is like a superpower, practically palpable when you talk to them. Their “constant, creative conversations turned to actual pen-and-paper planning,” Rowlan says, and then they made it happen. It started out with catering in May 2016. Then they found their oddball space, along a stretch of warehouses and office parks on Sixth Avenue South. The address lands you at a low-lying, older strip mall, but the Eatery itself is around its corner, toward the post office. It needed some work — it had, they say, a color scheme like the Max from “Saved by the Bell” (“Great for 30 years ago!” Rowlan laughs). The reclaimed wood for the tables came from Craigslist, and when the guy listing it heard their story, he wouldn’t take their money. They moved the lumber in a 2007 Jetta. “During all of this,” Rowlan says, “Cierra and I fell in love.” If you can hear their story without falling in love with them yourself, you’ve got a harder heart than I do. 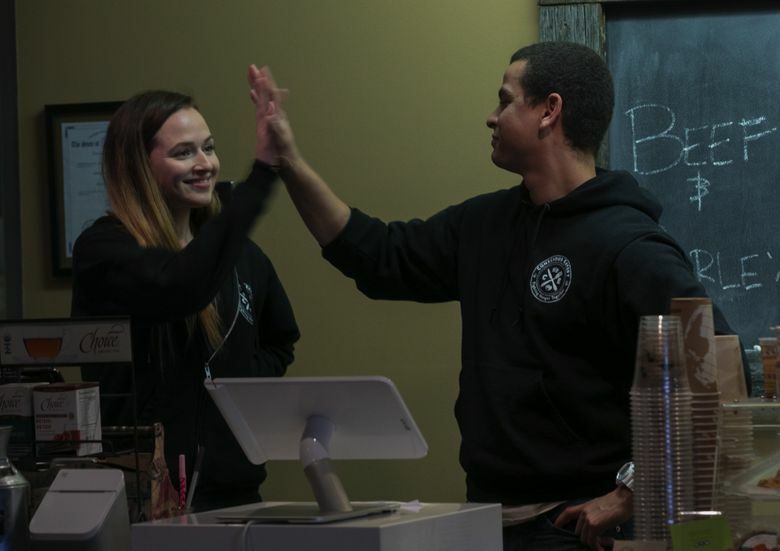 Laub and Rowlan ran Conscious Eatery all by themselves for the first six months, which, to hear them tell it, was less of a grueling hardship and more of an exciting opportunity to fine-tune the business. (This included the littlest things, like a piece of customer feedback they’re still delighted by: that they should cut their sandwiches on the diagonal, so the French dip would actually fit into the au jus.) They’re still working 60-hour weeks, starting at 6 a.m., five days a week. On Saturdays, Laub says, “We like to sleep all day.” A holiday break — Conscious Eatery will be closed the week of Christmas, reopening Jan. 2, 2018 — represents the first vacation they’ve had in two years. Through word-of-mouth alone, plenty of people have already found their way to Conscious Eatery. It’s breakfast and lunch only, and at the noon hour, the place is especially abuzz. Sandwiches come piled high on super-fresh Grand Central Bakery bread; veritable hillocks of salad are livened up with lots of candied nuts, crispy-frizzled bits of yam, and more made-in-house treats. The staff seems especially friendly, too, happily fielding questions about the extensive menu or the official mascot, a little dog named Zander. (A chalkboard gives his Instagram — @consciouszan — to look up while you wait, where you can witness his dignified forbearance when dressed in a hat with lamb’s ears.) Whether you’re conscious of it or not, there’s an extra level of good cheer here. 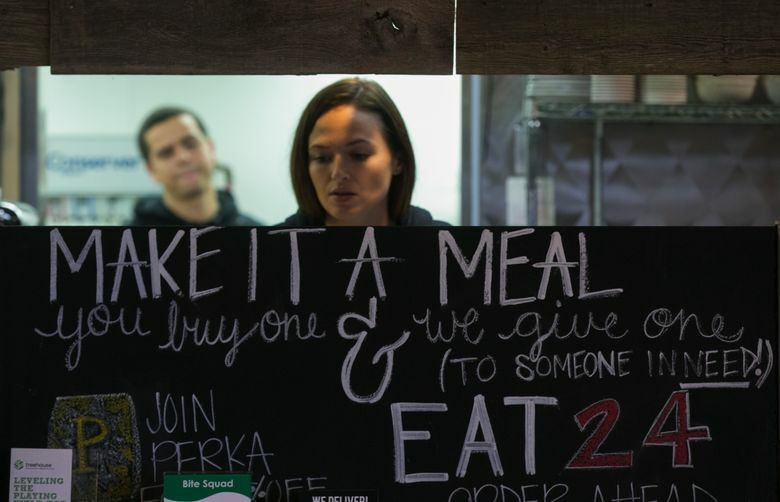 Conscious Eatery just recently started doing well enough that Laub and Rowlan could pay themselves salaries, more than just covering their rent, car payments and bills. They decided not to. Instead, they’re going to hire a kitchen manager, so they can start offering job training to homeless people as well. 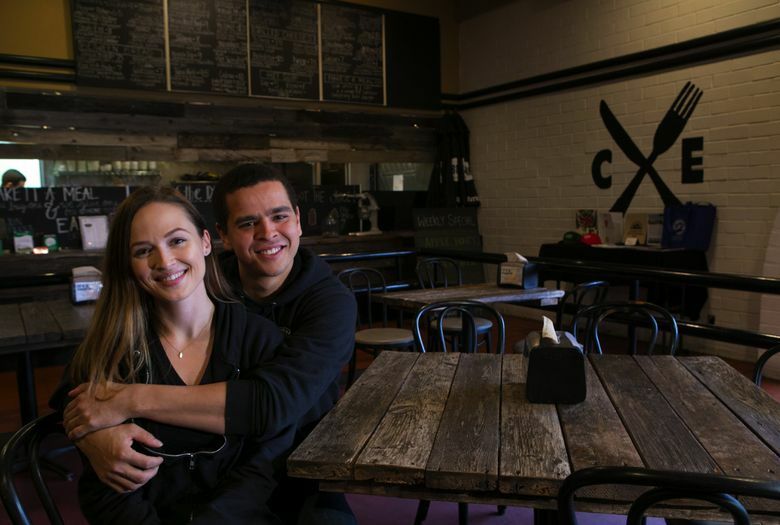 After that, they’re already talking about plans to expand, with stars in their eyes for a Conscious Eatery in South Seattle and one on the Eastside. “People are important,” Laub says simply. “People just need to feel like people again,” Rowlan says.